Selling your business may be your ultimate goal when you start your company—or it may be a decision you come to after years of running it. Either way, you want to be able to smoothly transition your business to a new owner when the time comes. Exit planning is a process, not just an event. When Terry Hurt, CR, made the decision to sell his business to Andy Hearn, it was done so smoothly that most clients, potential customers, contractors and suppliers were unaware that T. Hurt Construction had changed hands. Hurt founded T. Hurt Construction in 1994 in the Omaha area and was spen ding about 70 hours a week managing 15 employees focused on major residential and commercial remodeling, concrete and new construction projects. Not only was Hurt focused on design and sales, but he also managed the day-to-day operations and back-office functions. Hurt interviewed about 15 to 20 people to manage the company, but didn’t seem to find the right person. He was prepared to downsize his company, but decided to first list the business with a local broker. Hurt met with his attorney and accountant to determine the price. They began with a rule of thumb—a method useful for appraising a small business and helping sellers arrive at a price. Multiple factors are considered in determining the value, including volume, earnings and assets such as equipment, vehicles, inventory and real estate. Intangible assets—such as an owner’s agreement not to compete or to consult during a transition period—are generally included in the value of the business. He knew that understanding how buyers would value his business was an important factor in determining the company’s worth, especially because he had built a very recognizable and favorable brand in the area. “My business was running on no debt. I owned all the equipment and I had worked hard to ensure that my company could function without me, which they could, except in the area of sales,” Hurt says. Regular team meetings had always been part of Hurt’s business strategy, and he had gradually trained his staff to take over critical operating functions. One of the other important items Hurt determined was that he wanted to stay involved with the company, not only because he was still young, but because company had his name. At about the same time, Andy Hearn had made a decision that after 23 years, he wanted to leave corporate life. When the opportunity to purchase T. Hurt popped up, it caught his interest immediately. After Hearn did an analysis with his accountant to determine if the company’s finances would support the purchase price, his next step was to get to know the company. “Terry and I met a couple of times and talked about how he had built his company, his philosophy, his employees and his future involvement,” Hearn says. Once Hearn had decided to move forward with the purchase, he and Hurt set a joint objective for the transition; there should be no visible changes at the company that might significantly disrupt the flow of business. This included no formal announcement of the change of ownership, and Hurt would continue working at the company focusing on sales and design planning. “I don’t know how many people really knew Terry was selling his company,” says Hearn. “We did some field visits to look at active projects, and he introduced me to subcontractors so I could get to know them. We took care not to alarm or worry our customers, subcontractors and suppliers. 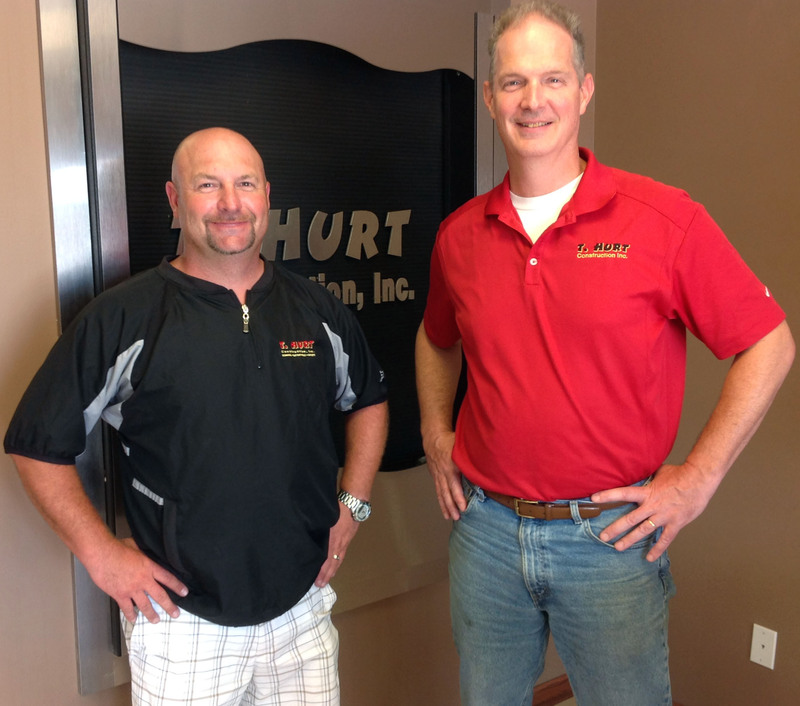 Both Hearn and Hurt credit Hurt’s continuing to work with the company as one of the keys to a smooth transition. Then, like any Monday morning, they all went to their jobs. “The announcement didn’t seem to have an impact on the productivity of the company,” Hearn says. Hearn and Hurt also talked with the employees on how to respond to questions that customers and suppliers might ask. As word got out, both Hearn and Hurt talked directly with anyone who had concerns. However, out of 100 clients, less than five called to discuss the situation further. “We really were conscious of not disrupting ongoing operations,” Hearn says. After the sale, Hurt took a four-week vacation and came right back to work. Changes have been gradually and discreetly implemented. The name, Website, phone number, logo was not changed. About one year later, a formal announcement finally appeared in the company’s newsletter. Hearn feels the two best things he did from a buyer’s standpoint was having Hurt stay involved with the company in a major capacity and having a good outside accountant that really understood the numbers. Hearn also credits an internal bookkeeper who has helped him keep his fingertips on the financial pulse of the company. A year and a half after the sale, T. Hurt Construction has increased its workload and increased sales by three quarters of a million dollars. When asked if he has plans to rename the company, Hearn laughs.